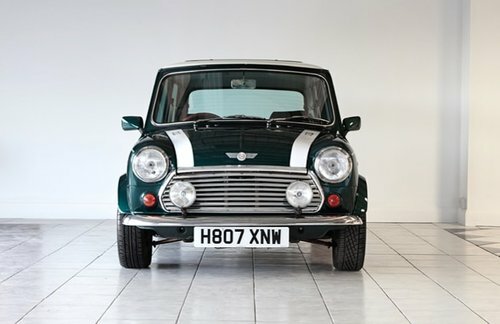 We are highly delighted to offer this stunning limited edition Mini Cooper RSP (Rover Special Product). Of the limited 1650 produced, over 1000 RSP’s remained in the UK whilst 600 were exported around the world including destinations such as Japan, South Africa and Germany. 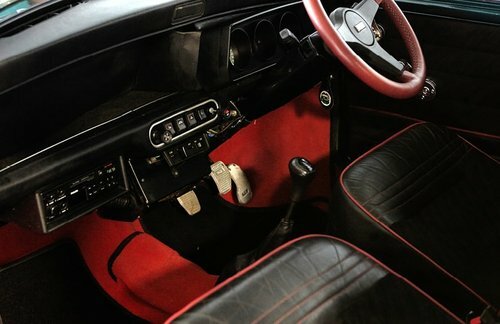 This Mini Cooper certainly captivated a global audience, with worldwide demand. 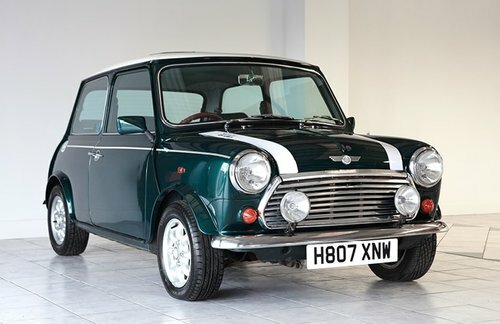 This Mini Cooper RSP is finished in the iconic British Racing Green with a White roof. It has mirror caps and bonnet stripes plus is sitting on the correct type 12” sport alloy wheels. 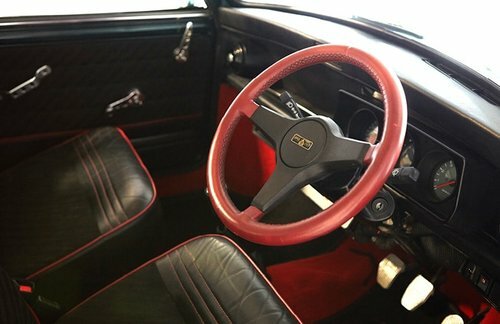 The half black leather seat facings with red piping and sewn in cooper badges along with the aluminium door handles, window winders, pull handles and lock surround make these RSP Coopers that little bit special, and we love it! 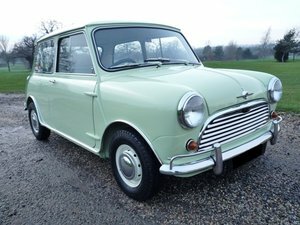 This particular Mini Cooper RSP has been locally owned. It was subject to a total restoration in 2014 at the cost of over £6000, which included a full gearbox rebuild. 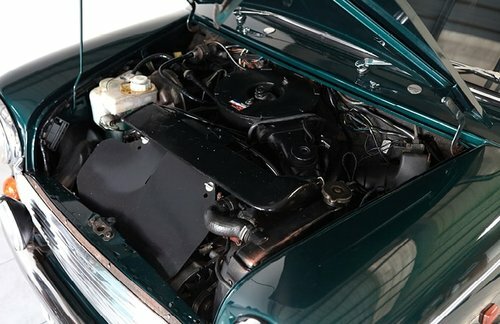 The Mini has had very little use since the rebuild. It’s only been enjoyed on dry days and always garaged. 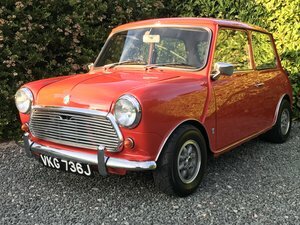 This is probably one of the nicest Minis we have seen in a long time. On the road the car drives superbly with crisp performance and the road holding is second to none. It’s sure to get a lot of admiring looks, this iconic national treasure is so loved by the nation, who wouldn’t want to drive this stunning piece of history that so many relate to. 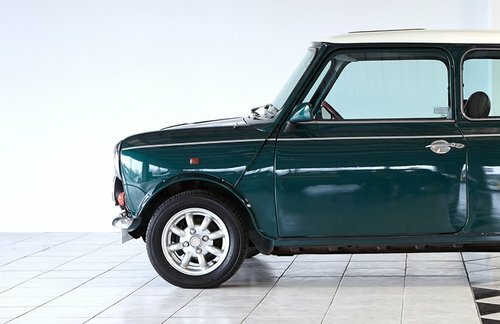 It’s this popularity that is sure to drive the price in one direction for this Mini, especially being the RSP model. 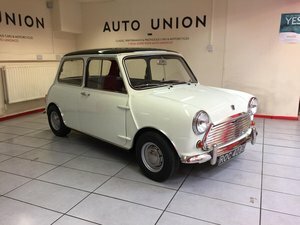 So if you are looking for an investment in a classic of tomorrow, or a useable classic you can enjoy today, then this is the solution. Have both, all bundled into this incredible Mini RSP package. For more information or to arrange a viewing, please get in touch today, we’re here and happy to help. If you want to talk about storage options, including monthly maintenance programmes, then please ask.